China’s economic future will determine the world’s future. This important book makes new factually grounded arguments about the challenges China faces. Its arguments deserve attention from anyone with a stake in our economic future. A worm’s eye view of China’s supply chain that reveals how the Rising China/Declining America narrative is a myth, and how the U.S. actually supports millions of jobs trading with China. A myth-debunking analysis of the Chinese economy and its impact on the USA. A must read for geopolitical thinkers seeking ground truth about a very fragile economy. Challenging conventional wisdom of China’s economic supremacy, Haft deftly and entertainingly uncovers how systemic risk in China’s economy actually creates millions of jobs across the American economy. A rallying cry for US businesses! All the Tea in China is a fast-paced, immensely readable book on a subject of great importance to all Americans. A guide on doing business in China for novices and pro’s alike. A must-read…with some remarkably thoughtful comments on globalization, the Chinese economy, and how both affect Americans. Haft provides business advice while cleverly weaving in his own hard-won lessons. For almost two decades, Jeremy Haft has been building companies on the front lines in China. 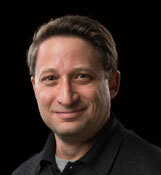 He has overseen hundreds of sourcing and import/export programs between American and Chinese enterprises in a wide variety of industries and agriculture, spanning shipbuilding and refineries, to auto parts and medical supplies, to maple syrup and cowhides. Haft’s current start-up is a public-private partnership with Cornell University Cooperative Extension, funded by a grant from New York State, to build export markets in China for New York agriculture. An adjunct professor at Georgetown’s School of Foreign Service and McDonough School of Business, he is the author of All the Tea in China, a primer on how to do business in China, and the upcoming Unmade in China, which examines America’s enduring competitive advantages over China in the coming century. He has conducted many briefings about China trade and U.S. competitiveness to members of Congress, ambassadors, senior military officers, and the business community. His analysis has also been featured in The Wall Street Journal, The Financial Times, CNN, NPR, CNBC, and Fox, among others. The Trump administration’s first tariffs hit $34 billion of Chinese imports. Beijing retaliated. 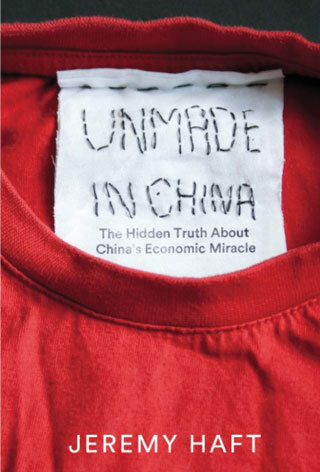 Noel King talks to Jeremy Haft, author of Unmade in China to discuss what is next. Jeremy Haft discusses trade, China, and North Korea on MSNBC’s Live with Velshi and Ruhle. Just as the U.S. is battling diet-related diseases, obesity and climate change, so, too, is China. And among the proposed strategies to combat these problems is this: Eat less meat. Today on the Experience Pros Radio Show Professor Ely Delaney discusses the value of the follow up. Brian Tracy releases his new book, Get Smart. And Jeremy Haft discusses the hidden truth of China’s economic slowdown. What do China’s challenges mean for business leaders and consumers alike? How has the Shanghai free-trade zone changed the market for Western businesses? What will “Made in China” mean in the future? Join Jeremy Haft, adjunct professor at Georgetown University and CEO of SafeSource Trading, ​Robert A. Livingston, president and CEO of Dover Corporation, and Phil Levy, global economy senior fellow for answers to these questions and more. China’s rising economic clout has become a theme in the presidential race, with candidates of both parties accusing the country of manipulating its currency and using unfair trade practices to destroy U.S. manufacturing jobs. If you thought the United States was about to be socked in the stomach by China’s recent economic slowdown, stop worrying. In fact, the slowdown might even be good for American business. Jeremy Haft, author of “Unmade in China”, joins Closing Bell to discuss China’s economy, consumer demand, and how investors should approach. 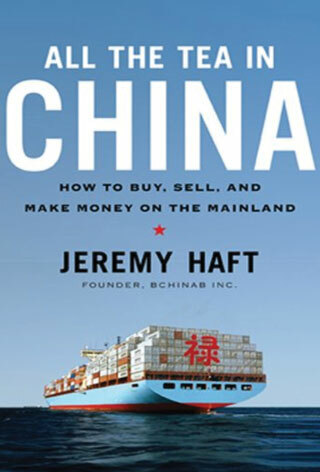 Jeremy Haft, author and adjunct professor at Georgetown University who lectures in both the Walsh School of Foreign Service and the McDonough School of Business, has spent two decades starting and building companies in China across sectors of the economy. Speaker: China an opportunity, not a threat to overtake U.S.
Far from overtaking the United States as the world’s greatest economy, China is a country beset by supply chain problems and corruption and is a threat only in the unsafe products it sells Americans. Jeremy Haft speaking on new book, Unmade in China, at the Clinton School of Public Service on February 11, 2016. Afew years ago our house was burglarized. Among the items taken—one of the few things I cared about—was a Rolex watch of 1960s vintage that had belonged to my father. News of the recent crumbling Chinese stock sent panic across the U.S. economy. Jeremy Haft talks about the impact of China’s economy and whether its slowdown is hurting the Lone Star State. It seems like any news about China lately has been all about an economic slowdown there, with falling stocks and sluggish GDP growth. But at least one scholar doesn’t think this slowdown is anything we need to worry about – at least not in Texas. From Nanjing, a bustling city on the south bank of China’s Yangtze River, the package traveled over 8,000 miles to make its way to an unassuming barbershop along Miami’s Coral Way. It didn’t contain hair-care products. Steve Clemons, Washington Editor-At-Large of The Atlantic, and Jeremy Haft discuss Unmade In China. China is losing its appetite for dump trucks, iron ore and construction cranes. But the Chinese still want to travel and give their kids a better education. Growth in the world’s second-largest economy is decelerating and rattling financial markets around the world. Behind that slowdown is an evolutionary shift in China’s economy — from a dependence on exports and investment in factories and housing — to a reliance on spending by its emerging middle class. Their economy is slowing. Stock prices have plummeted. Global markets gyrate daily amid doomsday predictions for their country, so surely Chinese people are on the brink of panic, right? Discussing what China’s market tumble means for the overall economy, with Anthony Chan, JPM Chase, and Jeremy Haft, Caracal Strategies and “Unmade in China” author. Apparently, America is doomed. China can make anything the U.S. can, only faster and more cheaply. It’s a black hole of labor, whose irresistible low-cost gravity drags in a vast number of American jobs. It manipulates its currency to keep itself competitive. It’s poised to dominate the world economically. Jeremy expounds on the growing export sector to China following the olympics, and the export market for modern goods and services. China recently vowed to clean up its dairy sector, after contaminated milk killed at least four children in a scandal that broke last month. How the Olympics will impact Chinas environmental and trade policy. Jeremy Haft discusses how increased crop prices signal growing Chinese demand for American goods. The Rust Belt gets a bad rap. It epitomizes the worst of globalization’s impact on American communities. But the region is not all abandoned steel mills and shuttered factories. It’s a vital powerhouse of advanced manufacturing, a major exporter to the world, and a bulwark of good-paying manufacturing jobs. To many Americans, Donald Trump’s positions on trade seem fair. If China and Mexico are stealing millions of our jobs, we should retaliate. As Trump often says, we’re already in a trade war, and we’re losing badly, folks. Jacking up the tariffs on imported goods seems like a good plan. So what if prices at Wal-mart go up a couple bucks? America’s middle class is at stake. The fact checkers have been chirping all day about Trump’s acceptance speech. But we’ve heard nothing about the Great Job Creator’s talking points about China, its currency manipulation, and how bad trade deals have killed jobs across America. The size of China’s economy is less relevant than the quality of its growth. You’d think the Peanut Corporation of America was headquartered in China. They discovered salmonella twelve times over the past two years at a Georgia plant, yet they chose to ship out contaminated peanut butter regardless. Sounds a lot like the Chinese dairy company Sanlu that knowingly sold melamine-laced milk powder…. “China has an even dumber energy policy than we do,” said the U.S. Ambassador to both China and Saudi Arabia, Chas Freeman, at a recent talk in D.C. But the Olympics are changing that for the better. The Games will have a lasting impact on how China consumes energy. As the Chinese recover from the aftermath of the devastating earthquake, it’s worth remembering that they can’t rebuild Sichuan province alone. They need America’s help.